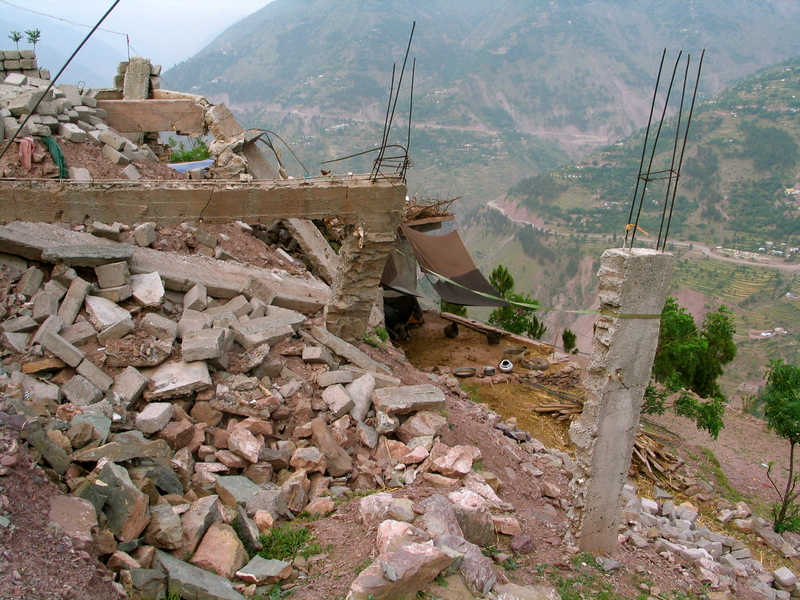 Since 2005, over 400,000 people have died in devastating earthquakes in developing countries, mostly due to building collapse. Experts predict that a million people will die in a single earthquake in this century. In post-disaster reconstruction programs and in building codes, there is an emphasis on modern building materials and methods such as concrete and masonry construction. These methods are deadly when improperly constructed and require the use of high cost, energy intensive materials and skilled labor, which are largely unaffordable for the poor. Following an extensive natural disaster the demand for these materials further increases the cost. Concrete and masonry construction also perform poorly in hot and cold climates, and their production, transportation and use contribute to climate change. Straw bale construction uses straw, an agricultural byproduct, compressed and tied into bales, as building blocks for walls. As currently practiced in many developed countries, straw bale construction offers numerous benefits, including energy efficiency, the use of natural non-toxic materials, and resistance to earthquakes, fires and pests. Straw bale buildings have proven to be durable, some lasting more than 100 years. The challenge is that the cost of typical straw bale construction is as high as modern standard construction, as it utilizes many similar components and materials. 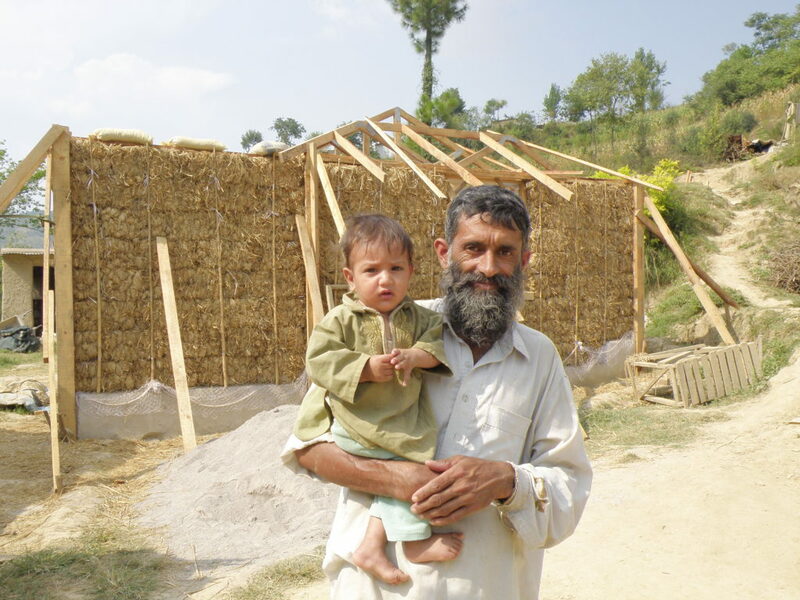 In response, PAKSBAB has developed a unique straw bale building method providing exceptional structural capacity at about one-half the cost of conventional brick and concrete construction in Pakistan. We are able to accomplish this with a simple load bearing design, in which the straw bale walls support the roof load and resist earthquake and wind loads. We also utilize renewable and locally available materials as well as local labor.